SkyCity is freeing up some cash from current assets. 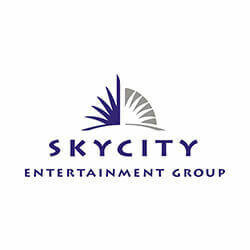 The SkyCity Entertainment Group is looking to free up money from its current assets during a heavy investment period. This is coming at the same time that the casino company is committing to protecting dividend payouts. SkyCity is based in Auckland, and is investing NZ$330 million in redeveloping its Adelaide casino, which is underperforming, NZ$703 million in a convention centre and Hobson street hotel in Auckland, and has also stated that it will buy the neighbouring AA Centre, for NZ$47 million. It has flagged the latter property for additional development in the food and beverage, accommodation, new gaming spaces and entertainment departments. SkyCity is also considering enhancing its Hamilton casino so that it includes accommodation and Riverbank development, and is investing in information technology, IT, to upgrade an outdated infrastructure and make future growth possible. While it has increased its expenditure, however, the company does not want to lower its dividend levels in order to divert funds to reinvestment opportunities, stating that it is committed to the dividend policy already in place because these are vital to a large proportion of its shareholders. SkyCity has a policy of paying 80% of net profit after tax, adjusted for capitalised interest, and subject to a minimum of NZ$0.20 per share, per annum. The casino company expects that its total debt will peak at roughly NZ$1 billion in 2020, with NZ$1.09 billion of debt facilities maturing between 2020 and 2028. It has committed to keeping its debt at a level needed to hold on to its BBB- credit rating with Standard Poor’s.